When an Iranian nuclear scientist is suspiciously assassinated, a revenge ploy begins against a valued American. Red informs agents Keen and Navabi that a dangerously conniving hitman "The Scimitar" has been sent to the job. Liz and Ressler find themselves in a tricky predicament as they investigate a surveillance lead. 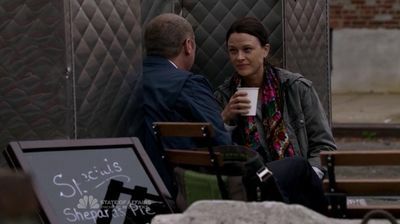 Agent Keen attempts to gather information on Berlin, while Red finds company with a woman working at a food truck.